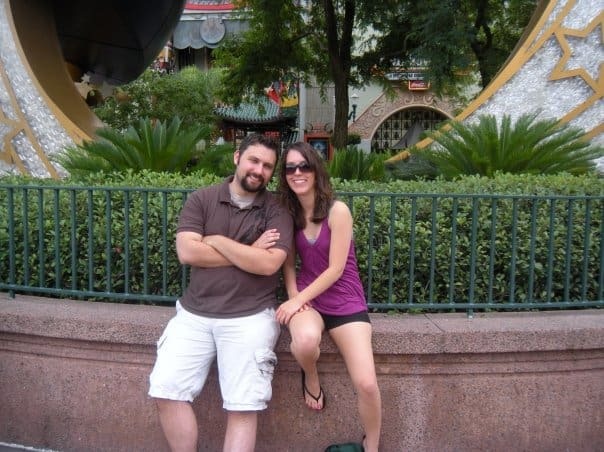 I still remember the very first time Chris and I went to Disney World together. 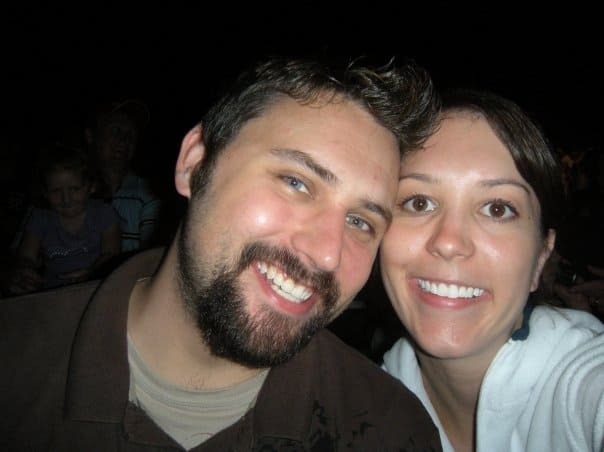 It was back in 2009 and I was at work when he called to ask if I could take off a week and fly down to Florida with him the very next day. Luckily my boss was cool with it and I was able to go, otherwise it would have made for a very depressing week at work! Back in 2009 was the first time I had been to Disney World since 2004. A lot had changed since my last visit and neither Chris or I really knew the ins and outs of the parks yet. We were just taking things as they came and learning as we went. It was a great trip, but there were a few Disney travel mistakes I would have avoided if I had known about them. This was the first time I had stayed on property since 1997 (and Chris’s first time ever), and there was a lot of learning involved. 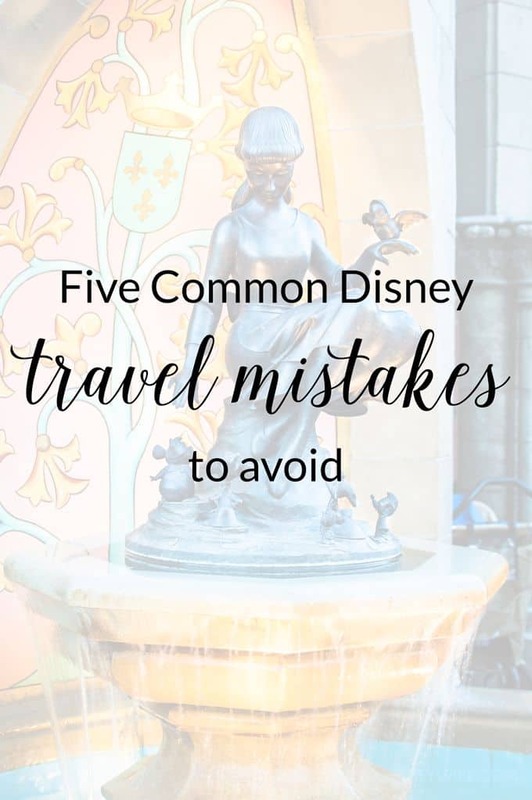 While we had a lot of fun just walking around the parks, figuring out our favorite rides, and taking our time to explore all the parks had to offer, we made a lot of Disney travel mistakes. So I’m sharing my list of mistakes to avoid when you’re at Disney World! When Chris and I first started going to Disney we would wait until our very last day at the parks to buy the things we wanted. Little did we know that you could actually buy your souvenirs at any time during your vacation and have your purchases sent back to whichever Disney resort you’re staying at (you can only take advantage of this if you’re staying on Disney property!). Then, all you have to do is head to the store in your resort and pick up the package when you’re ready! So easy and convenient. Chris and I are really bad about taking advantage of the bus system provided by the Disney resorts because we always have our own car when staying on Disney property. However, Disney transportation is so useful to get back and forth from the resorts to the parks! You can also use them to resort hop during the holiday’s to check out all the Christmas decorations (which is so much fun!). On select days certain parks open either an hour early or they stay open a little later than normal (during the summer months the Magic Kingdom sometimes stays open until 2 or 3am!). During EMH the only people who can ride the attractions in the parks are those who are staying on property (Cast Members will check your magic bands to make sure you’re staying at a Disney resort!) which means that the lines for popular attractions won’t be as long and the parks won’t be as crowded. It’s also a great time to beat the heat if you’re at Disney during the hot summer months! Just one bad sunburn can completely ruin an entire Disney vacation. Trust me, I know from experience! If you don’t put on sunscreen and your skin gets badly burned clothes rubbing up against it will cause you so much pain and your skin will be so tight and sore. Pack loads of sunscreen, wear hats and sunglasses, and drink lots of water. Your skin will definitely thank you. Are there any Disney travel mistakes you’d add to this list? If you’re looking for more Disney tips, check out my Pinterest board! Follow Teresa @ Crafty Wife’s board All Things Disney: Tips & Tricks on Pinterest.